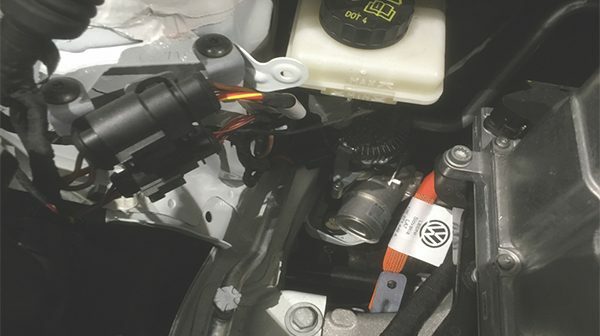 Peter Melville looks at the brake systems used in hybrid and electric vehicles and the implications to servicing. Whenever hybrid and electric vehicles come up in conversation, there’s often a lot of talk about high voltages, but less so about some of the other differences between these cars and traditional models, such as the brakes. There are two reasons hybrid and EV brakes differ from those on traditional cars. Firstly, whether it is provided by the suction of the engine’s intake system or via a mechanical vacuum pump, an engine provides a source of vacuum for brake assistance. In a car with no engine, or where the engine only runs intermittently, this is not an option. The other reason is that with an electric motor attached to the wheels, we can use this to slow the car. Given the choice between wearing down the friction brakes or getting a bit of free fuel, the regenerative braking is the preferred option. So how does this all work? A three-phase motor generator is mechanically linked to the wheels. When we apply a three- phase current to the motor, it drives the wheels. But if the motor is turning without being powered, it acts as a generator. If we provide a path from the motor windings to the battery, we can slow the car down whilst gaining some battery power. The car’s power electronics can handle any necessary voltage change, and via Pulse-Width Modulation (PWM) we can alter the amount of regeneration provided. It is essential for the car to be able to control the amount of regeneration for several reasons. Firstly, the battery cannot accept power under all circumstances. It is limited in terms of its overall capacity – if the battery is already full, regenerative braking is not an option. It may also be limited in current flow, for example, at very high or low battery temperatures. The battery may have spare capacity, but can only accept current at a lower rate. Regenerative braking also needs to be predictable for road safety reasons. Where regenerative braking cannot provide sufficient braking force, the friction brakes need to be used. Manufacturers use various systems to do this, but they all measure the driver’s braking demand and calculate how this can be split between regeneration and friction braking. 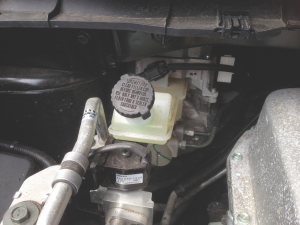 Pressurised brake fluid is sent to the calipers when required. What does this mean for us in a repair environment? The most noticeable difference is that brake pads simply don’t wear out in the way we are used to and a side effect of this is far less brake dust on the wheels. You’d also be forgiven for thinking the brake discs rust instead, but as the friction brakes are used at low speeds, and most manufacturers build brake-cleaning functions into the software, this doesn’t really happen either. However, whilst pressure from the brakes cleans rust from the disc, the lack of heat causes moisture to collect and calipers, and associated components, are often more corroded than you may expect. When servicing, it’s essential to ensure the brakes are free, as binding brakes may have a noticeable effect on driving range. We also need to think differently about some other jobs. We’ve spent the last hundred years using pedal feel as an indicator as to the health of the braking system but when the pedal isn’t connected to the hydraulic system, this test becomes meaningless. Most manufacturers recommend replacing the brake fluid every two years and this is no different for electric and hybrid vehicles, however, the argument for doing so is stronger. With, in many cases, no hydraulic connection between the pedal and the wheels, old fluid can be a hidden danger and no clue provided by the pedal feel. Also, the cost of the electronic parts of the braking system means allowing moisture to collect becomes a potentially expensive gamble. The procedure for changing brake fluid depends on the vehicle. Some are similar to traditional models, yet others involve a complex process. As with many modern systems, it indicates the importance of following the correct procedures.